The introduction sets the scene. It explains the genesis of the book and how Australia’s settler colonial history relegated Indigenous Australians to the most disempowered and marginalised position in society. This history continues to play out in the criminal justice system, in the way criminals law are interpreted and applied. Everyone agrees that the vast over-representation of Indigenous people in custody needs to be addressed and Indigenous sentencing courts are considered, by some, one way of doing this. 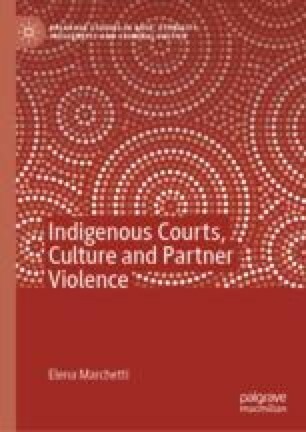 The introduction offers a brief explanation of how and why Australian Indigenous sentencing courts came to fruition and why some stakeholders disagree with their use for partner violence offending. The introduction ends with a brief summary of each chapter.